From 8 April, a new Ultra Low Emission Zone (ULEZ) will be in place in Central London and will operate for 24 hours a day, every day of the year. Covering the same area as the current Congestion Charge, new rules mean vehicles will be charged according to Euro emission standards and hybrids will no longer be exempt. If your vehicle is not compliant, you will be charged £12.50 on top of the congestion charge. Ouch. It’s not essential to separate the car from the cult of personality that surrounds its creator, Elon Musk, but it helps because the Model 3 is brilliant in its own right. 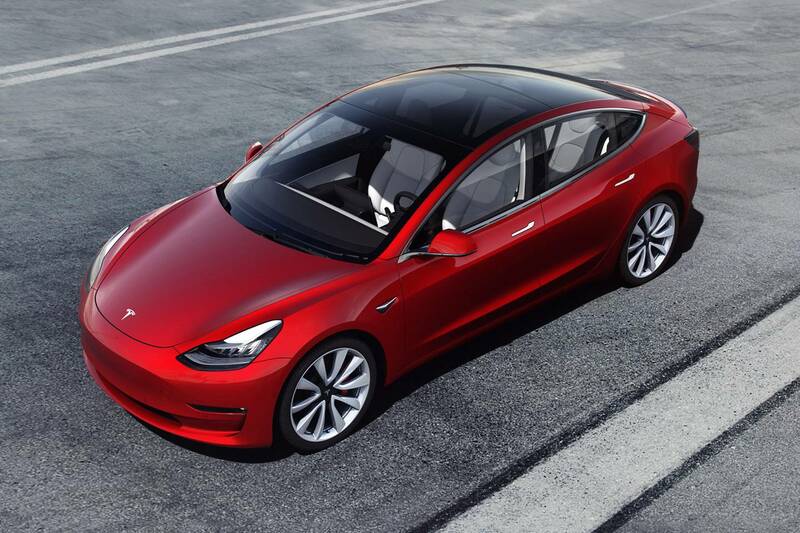 We’re still waiting for UK spec and prices to be confirmed but three versions of the Model 3 are currently available in the US: Long Range Rear Wheel, Long Range Dual Motor and Performance, the last of which adds an AC induction motor upfront – as in the Model S and Model X – and a partially permanent magnet rear motor with silicon carbide inverters. One of the motors is performance-oriented, the other is there primarily to extend range and Tesla has tweaked the inverters to improve efficiency. Tesla has also added a Track Mode – available as one of its “over-the-air” upgrades – which turns the Model 3 into a credible BMW M3 rival in handling terms as well as straight-line speed. Power output is equivalent to approximately 450bhp (versus 271 for the standard car and 346 for the Dual Motor), with 471 lb ft of torque. In the US, Tesla claims a 310-mile range (EPA) and its superchargers replenish the battery insanely quickly – 360 miles per hour in California. We need more of these in the UK and unlike the Model S and X it’s not free as part of the purchase package. The Model 3 has just been joined by the small SUV Model Y, with which it shares its hardware and software, dynamic behaviour and wonderfully minimalist interior. We haven’t supped the Tesla Kool-Aid, but even so, these are fantastic cars. 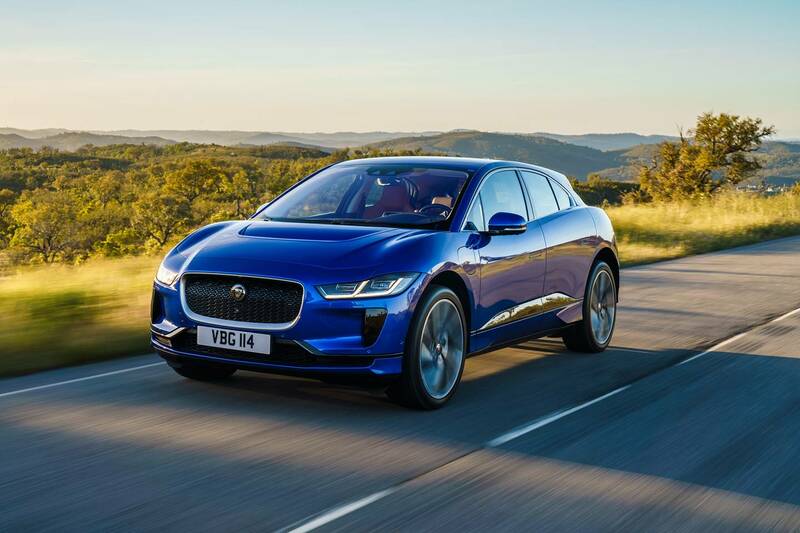 Recently voted European Car Of The Year, a genuinely important accolade, a shot in the arm for Jaguar and also the first EV to take the honour. Part of the I-Pace’s genius is in its identification of an aesthetic that suggests something “new” without putting the frighteners on anyone. It also has the best interior of any current Jaguar and adheres to the company’s fabled mantra of grace and pace. The 90kWh battery is good for almost 300 miles on a full charge, generates the equivalent of 395bhp and with an electric motor on each wheel and torque vectoring, the I-Pace has no trouble harnessing it. It’s also lighter than its rivals, at 2130kg. Porsche is arguably the ultimate automotive engineering company, so when its first pure electric car is revealed in September expect a doozy. Around 20,000 customers have each placed a €2,500 deposit on the Taycan, prompting Porsche to revise its production targets upwards for the car. “I drove it in Sweden three weeks ago,” Porsche CEO Oliver Blume recently told GQ. “It will have a driving dynamic you have never seen before on an electric car. There will be 911 GT3 drivers who will be interested in the Taycan and have both of them. 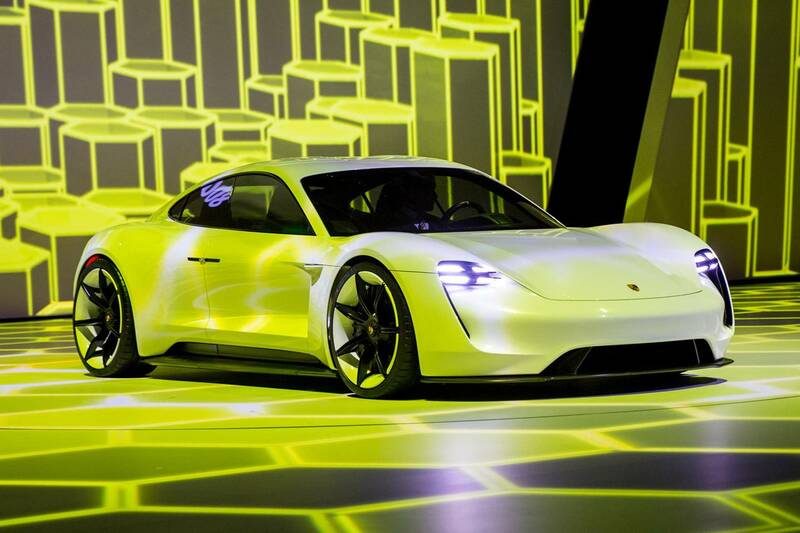 A dream garage.” Porsche says the new car will come in three versions, with 300kW, 400kW and 500kW power outputs (that’s 396bhp to 661bhp), dual motors and all-wheel drive. The batteries sit low in the chassis, says Porsche, to promote the optimum centre of gravity. It’s working hard to give the Taycan all the touch-points that make a Porsche a Porsche – steering and braking feel, intuitive dynamics, chassis integrity. It’s also promising an 80 per cent charge in 20 minutes using one of its own branded 800v chargers (Porsche is following Tesla’s example here), equating to a range of 310 miles depending on spec. It’s also set up for wireless charging. A second Porsche EV, the Cross Turismo, will arrive in 2020. 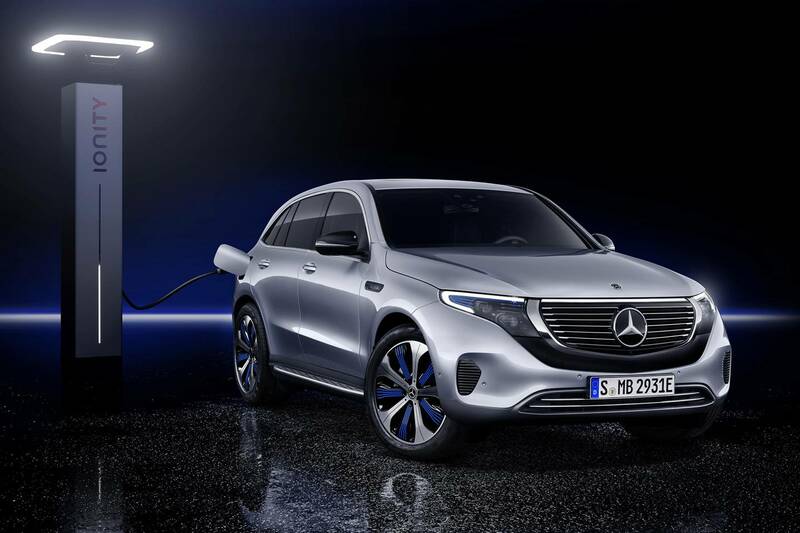 The first in Mercedes new EV family, with another nine pure EVs to follow between now and 2025 – by which time Mercedes estimates up to 25 per cent of its sales will be electrified. It’s related to the existing GLC and doesn’t depart from Merc’s current highly considered design language. So no big surprises here visually, apart from the outsized front grille panel and “light bar”. An all-new electric powertrain uses an electric motor on the front and rear wheels, delivering a combined 402bhp and 564 lb ft of torque, each tuned to do a different job: the front efficiency-oriented, the rear one to promote higher performance, with five different driving modes available: eco, max charge, comfort, sport and individual. The EQC uses an 80kWh battery for a claimed 280-mile range and, having been developed using 200 prototypes across several million kilometres in all sorts of terrain, we expect a typically thorough Mercedes experience when we finally get to drive it in a month’s time. 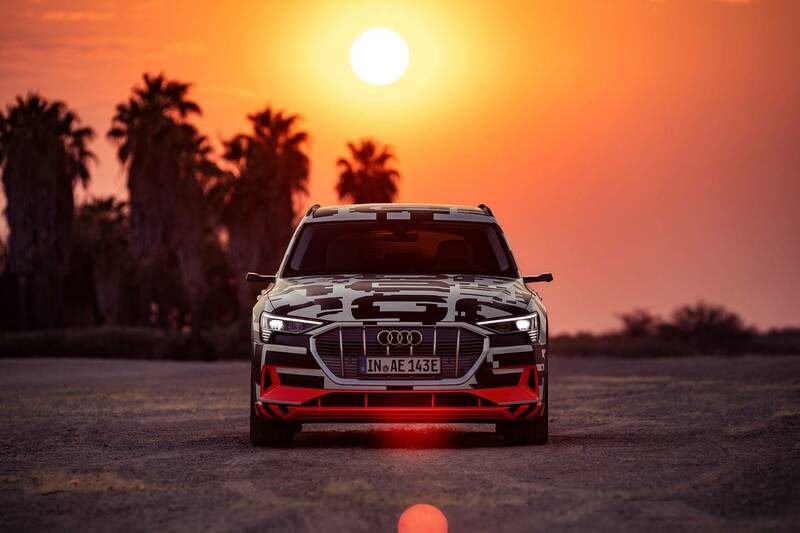 Audi pitches the e-tron as the heir to its fabled Quattro cars and indeed it has a seriously clever all-wheel drive system. It also just happens to be all-electric. The 95kWh battery pack lives under the floor and consists of 432 individual cells stacked into 36 units. In over-boost mode, its two asynchronous motors produce the equivalent of 402bhp and 488 lb ft of torque, a very handsome pair of numbers (355bhp in normal everyday mode). Energy recuperation is done either by coasting or under braking: it contributes approximately 30 per cent to the car’s projected 250-280 mile range on the new WLTP cycle. Go hard and you’ll get to 62mph in 5.7 seconds and a top speed of 124mph, which is arguably too fast to appreciate the e-tron’s other big selling point: its magnificent interior, complete with optional virtual door mirrors. The i3’s willfully odd design may have hurt sales, but that’s one of the reasons we love it – it announces its difference and a recent mid-life tweak has kept it fresh five years after its arrival. 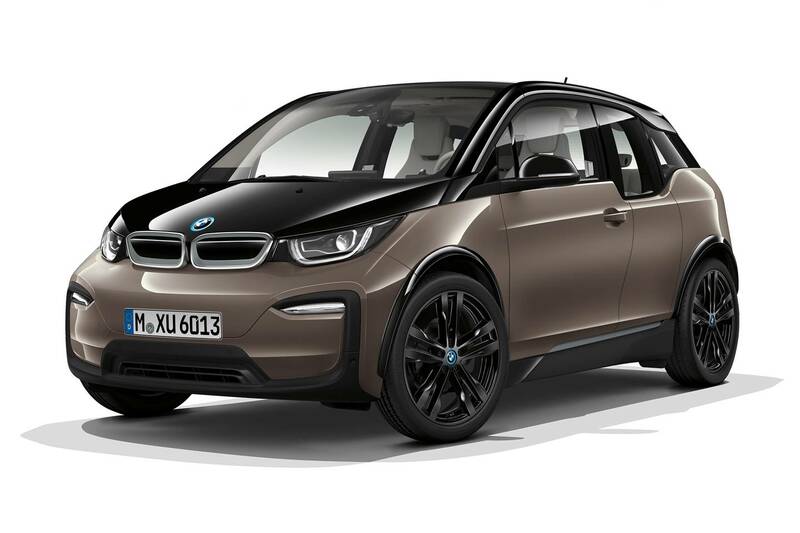 The i3 uses a single gear synchronous electric motor powered by a 42Wh high voltage battery for 168bhp and a range of 193 miles if you drive like your life depends on it (it’s worth noting that the battery is now double the size of the one fitted in the i3 at launch in 2014 – that’s how fast the tech is moving). An i3S adds an extra 14bhp, lowers the suspension, widens the track and pumps up the styling a little. The i3’s interior remains one of its USPs and it’s well-equipped. BMW’s latest wallbox home charger allows fast domestic charging, providing 112 miles in less than three hours. The real-world EV and one of the contenders you’re most likely to see on our streets as the transition to electric gathers momentum. 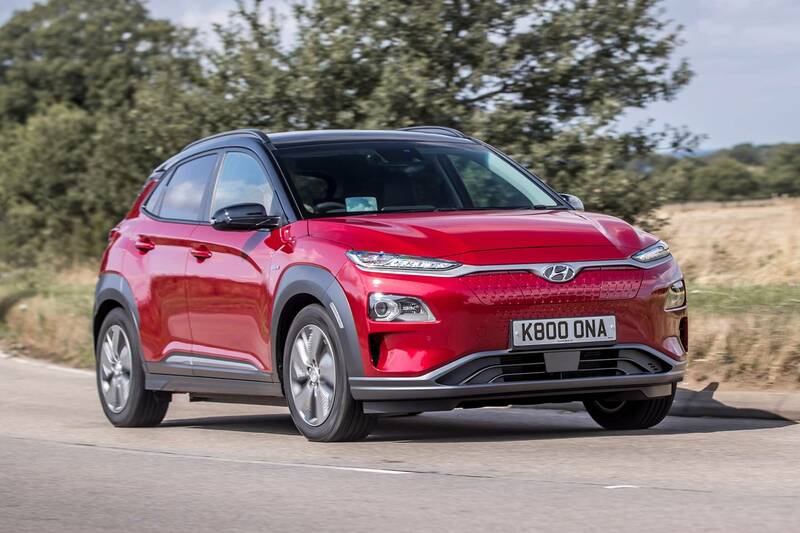 Hyundai has long been a force to be reckoned with and the Kona Electric’s 64kWh battery equates to 201bhp, around 300 miles between charges, and enough straight-line grunt to rival a hot hatch. Not that you’ll bother: as with all EVs the fun here is eking out the range rather than decimating it. Recharging on a standard domestic wallbox takes around 9.5 hours and costs £9 depending on tariffs. Effectively Honda’s i3 rival, due later this year. 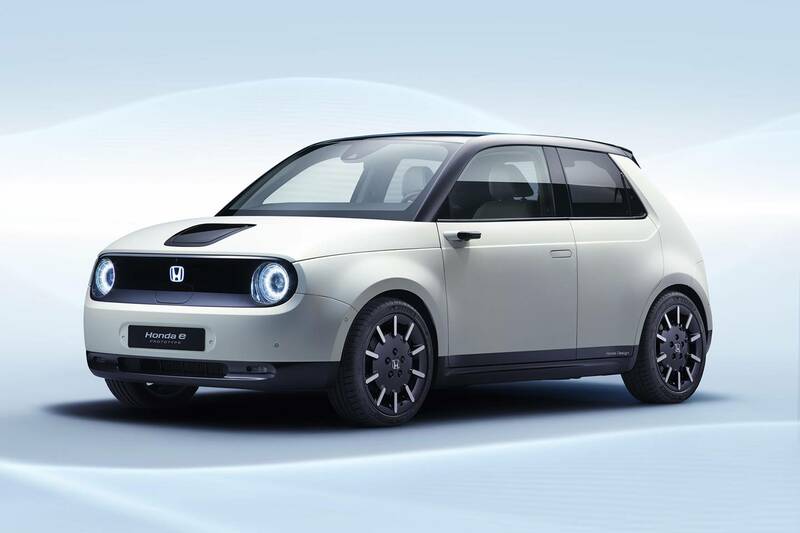 Honda’s UK MD recently observed that although the Urban EV – the name isn’t confirmed yet – will be the smallest car it sells, it could actually be its range-topper. Honda is striving for that Apple-level premium feel and its design, surfacing and interior are all straight off the Californian tech playbook. Honda hasn’t finalised its specification yet but its range is likely to be 130 miles, less than key rivals. This underlines its city remit – and Honda’s desire to be taken seriously in the “lifestyle” space. Set on the biggest mea culpa in corporate history, post-dieselgate Volkswagen’s ID electric sub-brand has a lot riding on it. We’ll see the first Golf-sized ID Neo at the Frankfurt show in September, with an ID Cross, the Buzz minibus – inspired by the legendary VW Microbus – and a Coupe to follow. All will use VW’s new MEB electric platform, with three powertrains: a 48kWh battery for a 200-mile range, a 55kWh one for 250-280 miles and a 62kWh for 340 miles. Charging can be done on 7.2kW or 11kW AC sources, with fast DC charging at up to 125kW replenishing the battery in 45 minutes or so. If the real thing stays true to the concept cars that have trailed the ID programme, they should look more distinctive and less sober than regular VWs. In another significant move, VW plans to extend its platform-building know-how by licensing its new EV architecture to other companies. 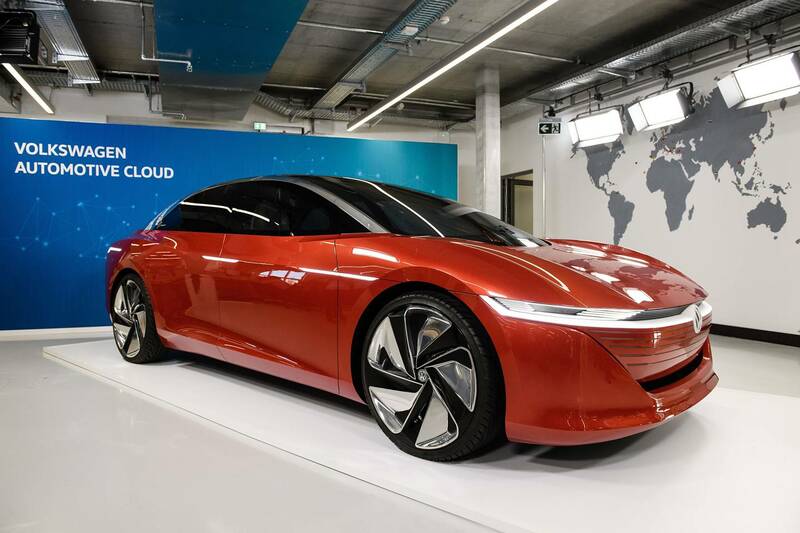 “With the MEB platform, we are now transferring this successful concept to the electric era and opening it to other carmakers,” VW’s CEO Herbert Diess said recently. The VW Group – which encompasses Audi, Bentley, Seat, Škoda, as well Bugatti and Lamborghini – will spin 50 different models off its MEB electric platform and plans to invest €30 billion in electric tech up to 2023.